Social trading at UK broker! Learn more at FxPro SuperTrader review here! FxPro is the broker that needs no further representation, since it has been operating in Forex market for 10 years already. In 2013, FxPro came up with its new feature – SuperTrader, which main aim is to offer comprehensive benefits of social trading to its clients. As one of the most honest FxPro SuperTrader reviews, we are going to cover all aspects of FxPro SuperTrader to shape your opinion about its services. FxPro SuperTrader is an exclusive feature for FxPro Direct Accounts owners. Opening a live trading account at FxPro is absolutely free. SuperTrader account can be opened in 3 currencies: USD, EUR and GBP. Since FxPro SuperTrader trading network is quite a lucrative choice of a social trading platform, initial investment requirement is relatively high – $10,000. However, FxPro has a solution to help investors meet this condition – the Credit Line. Therefore, you have to deposit as little as $2,000 and FxPro will supply the rest $8,000 – 4x credit multiplier. Moreover, this FxPro credit line is interest-free, no additional fees apply. Maximum leverage available is 1:200. For some reasons, FxPro SuperTrader demo account is not available, however you are able to “take a tour” through the SuperTrader platform and observe it from the inside. You do not have to choose the best broker for SuperTrader, because SuperTrader platform is fully integrated with FxPro. Therefore, no fees or commissions go to third-party brokers. The only fee you pay to FxPro is the cost of the spread. It is good to know that spreads at FxPro are tight – starting from 2 pips. FxPro has developed quite interesting and fair policy of social trading costs. Basically, at this platform you can follow two types of strategies: In-House and Third-Party. As the name suggests, In-House strategies stand for the signals delivered by FxPro SuperTrader social trade professionals. 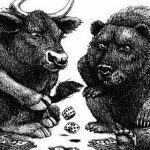 On the other hand, Third-Party strategies are systems designed by other traders registered at FxPro. In-House strategies at FxPro are completely free of charge. This means that if you copy the strategy designed by FxPro experts – you do not pay any FxPro SuperTrader fees or commissions. As for the Third-Party strategies, you pay 5% performance fee to the owner of the strategy that made profit for you. This monthly fee is paid only on the basis of the profitable trades. We should also mention slippage at FxPro social network. Normally it is just 1 pip or even less per round trip. Before the third-party strategy is introduced to the SuperTrader platform, FxPro Business Development team thoroughly checks its quality with their special assessment system. If the strategy is selected by FxPro, it will be constantly monitored later on to assure investors that it is profitable. If the strategy stops to seem viable, FxPro will immediately remove it from the list. Note that if you are willing to become a signal provider at FxPro SuperTrader social trading platform, you have to maintain a balance below $50,000. No initial account balance requirements. In order to inform FxPro about your intentions of becoming a strategy provider – submit your request to the Business Development team email. You can use MT4 or any other platforms available at FxPro to enter your trades. The number of available of Forex strategies right now is 16. You can include in your portfolio an unlimited number of strategies. Therefore, it is vital for investors to learn all pros and cons of the particular trading system. As the basic set of FxPro SuperTrader social trading strategy characteristics, you can see: Profit/Loss ratio, Maximum Drawdown, Average Win Ratio, Strategy Description, Risk-Adjusted return. Additionally, FxPro enables you to view the graphs which represent Overall Performance, Actual Leverage, Drawdown and Volatility of Return. To ensure the best transparency possible, it is allowed to observe current equity of strategy providers at their profiles. We have not seen such a feature in the majority of other social trading platforms so far. In order to analyze the strategy properly at FxPro SuperTrader investment platform, at the profiles of strategy providers you can check open positions and aggregated open positions. Additionally, you can utilize historical statistics. FxPro permits you to download the trading history as well as the information about open positions in Excel format. This can come handy if you wish to perform your own analysis. 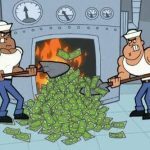 Amount Allocation in $. This parameter shows how much of your capital you are ready to allocate to the strategy. The minimum amount you can select is $500. Take into account that SuperTrader FxPro copy trading strategies can be expensive and may require higher amount of capital. Strategy Max Loss %. This percentage shows how much loss you are able to incur from one or more strategies before all trades are closed – choose from 1% to 30%. Trailing Stop (Equity) %. This tool works in the similar way as the Strategy Max Loss, but it also considers profits. Hence, you can end up in profits. You can set trailing stop from 1% up 50%. The Profit Trigger Point: It demonstrates the percentage of your profits that you are ready to lose. What is also good about FxPro risk management, is that you are able to manually close all ongoing trades opened by the specific strategy. Perhaps one of the main downsides and reasons for FxPro SuperTrader complaints is lack of social interaction between strategy developers and investors. It is unknown why FxPro has recently disabled the possibility to rate strategies, though it was possible until June 2015. In addition, there are no forums, chats or reviews on strategies in access. Unfortunately, FxPro does not support Facebook or Twitter integration. Generally, FxPro support is at the good level. The website operates in 17 languages. Support agents are accessible through live chat, email and phone. 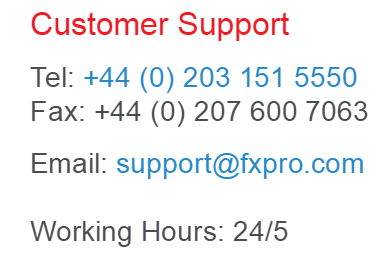 However, stay away from FxPro SuperTrader scam “Call Back” service. The reason for this is that most people working at the call center cannot provide fundamental solution to clients’ issues. Nevertheless, customer support is ultra-efficient if you contact them via email or live chat. In addition, you have a personal manager assigned to your account. We should also admit that in the majority of cases, FAQ provided by FxPro can give you the most explicit answers to the questions that bother you. Moreover, there is a user guide that provides all the necessary tips for FxPro Supertrader platform. FxPro has delivered a central account from which you can transfer money to all your other trading accounts (SuperTrader in our case) – FxPro Vault. This tool is absolutely free of commissions or fees. The main advantage of the Vault, is that all money deposited in this central account is completely protected from any negative impact of open positions. In order to fund your SuperTrader account, you must have FxPro Direct account and use the “Manage FxPro Vault” function there. Same reverse operation applies if you want to make a withdrawal. Another feature that created many positive FxPro SuperTrader opinions is that the withdrawal is possible during weekends. 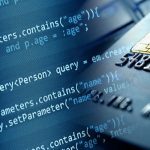 Indeed, there are a number of fees that apply to different payment methods. The only exception is wire transfers – FxPro does not charge you any commission for depositing or withdrawing funds. Please note that you will be still charged by the banks participating in the transaction process, depending on the amount of money involved. In addition, Skrill charges 2.6% fee for deposits, whilst PayPal requires 2.7% fee for withdrawals. It takes 3-5 working days to process the deposit for bank transfers and 10 minutes for other payment methods. To process the withdrawal request, banks transfers need 1 working day and 3-5 days for the funds to reach your account. Credit/Debit card withdrawals are processed within 1 working day and it takes 5-7 days for the money to be credited to your account. Our FxPro SuperTrader review found out that other withdrawal requests are processed within 1 working day as well.